Usually ship within 5 business days. • Features a strong 23W x 15D x 58.25H frame. • Retractable ratchet system for easy tightening and loosening of nylon strap. • Large 8" Solid wheels make traversing over uneven and loose terrain easier. 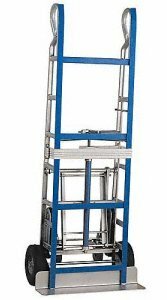 • Two huge loop handles provide for safe and secure maneuvering. 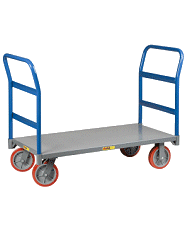 • Swing out wheels allow the operator to rest the load back without having to bear the weight of the load. 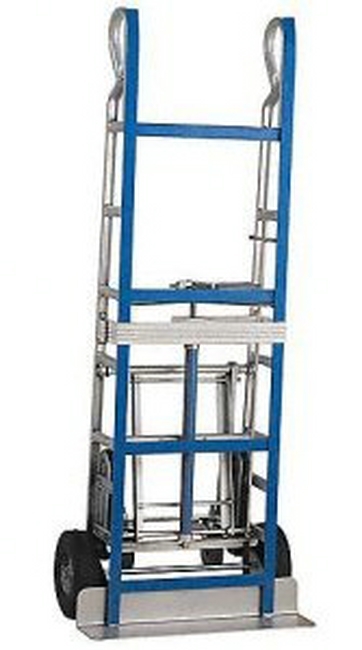 This allows the operator to safely maneuver loads. • Protective stripping along the frames face protects items from scratching. • Dutro is the brand professionals trust! Made in the U.S.A.
Dimensions: 23W x 15D x 58.25H "